Leading IT distributor, Ci Distribution, is proud to announce an exciting new partnership with mobile power specialists, Lind Electronics. 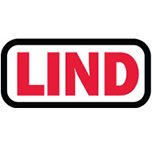 Established in 1984, Lind Electronics has become a leading provider of rugged mobile power solutions for different industries, such as military, public safety, and warehousing. Lind's broad portfolio of mobile power solutions includes rugged DC/DC adapters (standard, isolated and MIL-standard), AC/DC and DC/DC combo adapters, shut down timers, and battery chargers. Today, Lind Electronics operates in a variety of countries and cultures, providing industry-leading mobile power solutions and support worldwide. It creates custom solutions for the leaders in the computing and technology industry. "We are very excited about this new partnership with Ci. Working together with one of the largest IT providers in the UK and Ireland will greatly benefit us and our customer base. With this agreement, we expect to be able to fulfil the growing demand for our products more effectively, and also to continue to provide a high level of service to our existing customers." Having witnessed remarkable growth in recent months, Ci Distribution is confident that its broadened product range, along with its widespread market reach in the UK and worldwide, will pave the way for the even further expansion of Lind Electronics' presence in the industry. "Lind Electronics is a fantastic addition to Ci Distribution's ever-expanding portfolio. I am always proud to witness our vendor base growing from strength to strength. We are very much looking forward to working with Marcus and his team, and are excited about what the future holds for both parties as a result of this great partnership."